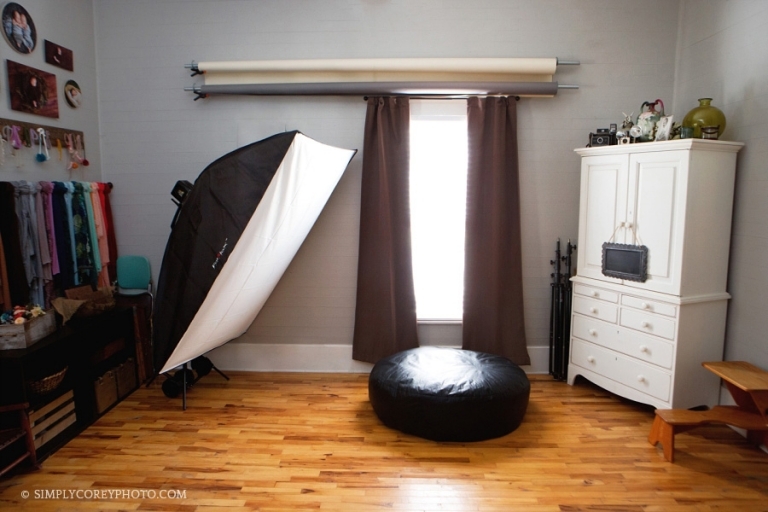 Welcome to the Simply Corey Photography studio! This humble space of mine is still a work in progress, and I will post new photos as updates happen! 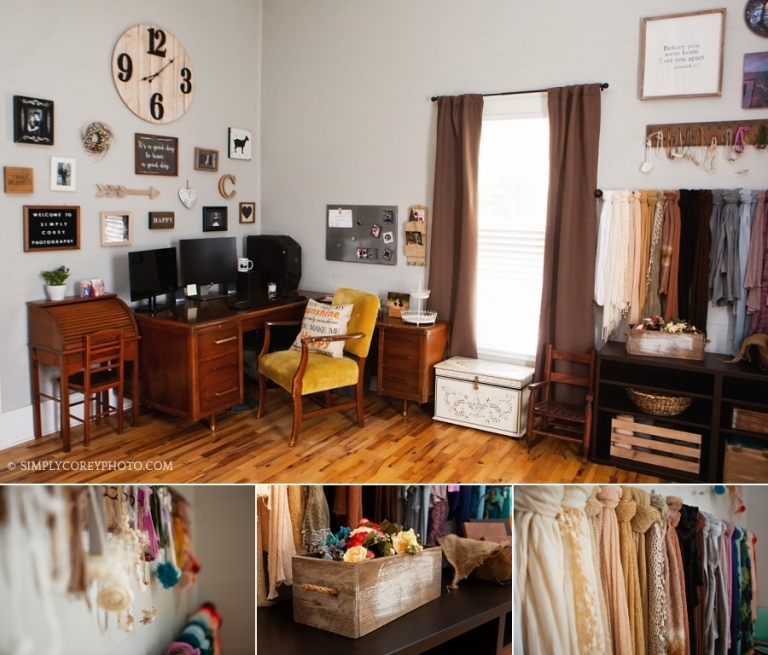 Photography sessions with Simply Corey Photography may be held inside the studio or outside. Sessions are available Sunday through Friday, by appointment only. My home studio is located in our country farmhouse and is ideal for maternity, newborn, baby, and child portrait sessions. Small families, seniors, and headshots are also welcome for studio sessions! A variety of props, hats, outfits, headbands, and backgrounds are available for your newborn or baby milestone portrait session, plus a variety of maternity dresses and flower crowns. Custom sets are also available for your baby's cake smash session. Samples of different products, such as albums, metal prints, wood prints, canvas, and greeting cards are available for you to look through while you are here. I opened my photography business with a home studio in Douglasville, GA at the end of 2004. Since then, I have had the privilege of photographing many babies, families, and high school seniors throughout metro Atlanta. I am now at a more rural location and you are welcome to have your photos done inside the studio or outside on our private property. Portrait sessions may also be held on location within metro Atlanta. I have put together some general information for different types of photography sessions, but please email me to request detailed pricing and my availability. Simply Corey Photography sends out exclusive photography specials, mini session announcements, and other news from time to time in an email newsletter. So be sure to sign up! 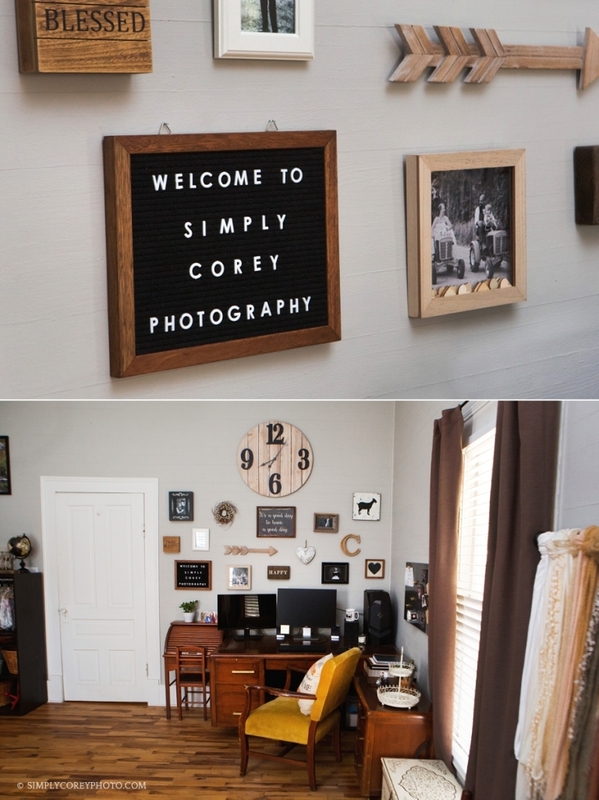 You can also connect with Simply Corey Photography on Facebook, Instagram, and Twitter. Scroll down to see more photos and send me an email to set up your portrait session!